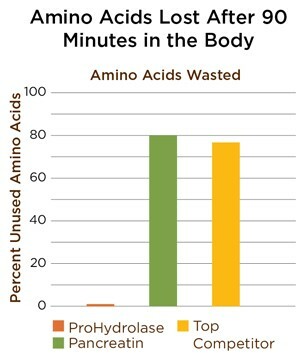 Prohydrolase increases Protein Absorption and Amino Acid Uptake. Prohydrolase is designed to enhance the body's absorption of protein and amino acids to promote optimum muscle growth, recovery and weight loss. One of the top selling (and most heavily-marketed) nutritional and sports supplements on the market today, whey protein turns up as an ingredient in everything from smoothies to nutrition bars to high-protein cereals. But what exactly is whey protein powder? Where does this stuff come from? And do you really need it? Whey is a natural by-product of the cheese-making process. Milk contains two primary proteins: casein and whey. Whey composes about 20% of milk proteins, and casein comprises the remaining 80%. So when you drink a glass of milk, you are consuming both casein proteins and whey proteins. During the cheese-making process, an enzyme called rennet is added to milk to curdle it. The curds are used to make cheese, and the remaining liquid is whey. It turns out that whey is extremely rich in three milk proteins -which are more easily digested by the body than any other protein, including the holy grail of protein, eggs. Proteins are made from simpler substances called amino acids. There are 20 amino acids in the protein that we eat every day. The body takes these amino acids and links them together in very long strings. This is how the body makes all of the different proteins it needs to function properly. Nine of the amino acids are called essential because bodies cannot make them. These essential amino acids must come from the foods we eat. Hormone insulin regulates blood glucose (sugar). Insulin is a very small protein. Many proteins are made of thousands of amino acids strung together. Proteins can be very complex because of all the combinations of amino acids that make up the chains. Whey protein powder is also extremely convenient. It’s highly portable, since all it requires is the addition of water to reconstitute it. And because it’s made from milk, even with water alone, it takes on a milky flavor and consistency (especially with the concentrates) that you just can’t typically duplicate in a soy protein powder. Whey protein is also light (so it travels wells), doesn’t require refrigeration and can be added to all kinds of foods, including skim milk, instant oatmeal and even healthy cookies and pancakes. 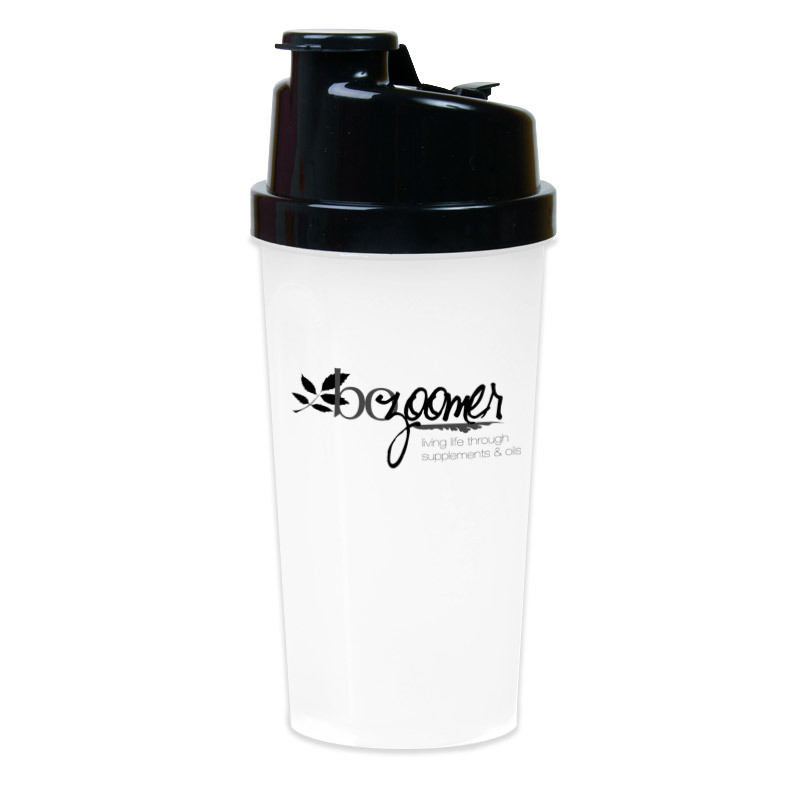 This makes it an ideal in-between meal snack that you can literally whip up at your desk at work, take in a shaker http://www.bozoomer.com/new-products/protein-shaker-cup-with-bozoomer-logo.html to the gym with you, or pack in your laptop bag when you are flying. Not only does the body potentially absorb more protein from whey, it digests whey more quickly than eggs, meat, or dairy. This makes it an ideal post-workout food, when it’s important to provide extra protein to the body to aid in recovery, especially after weight or resistance training. For these same reasons, whey makes a good addition to breakfast, since protein levels will typically be low after eight hours of sleep. is filtered out, there are fewer digestive problems. 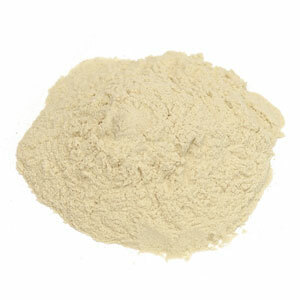 Whey isolate also typically mixes slightly better than concentrates. 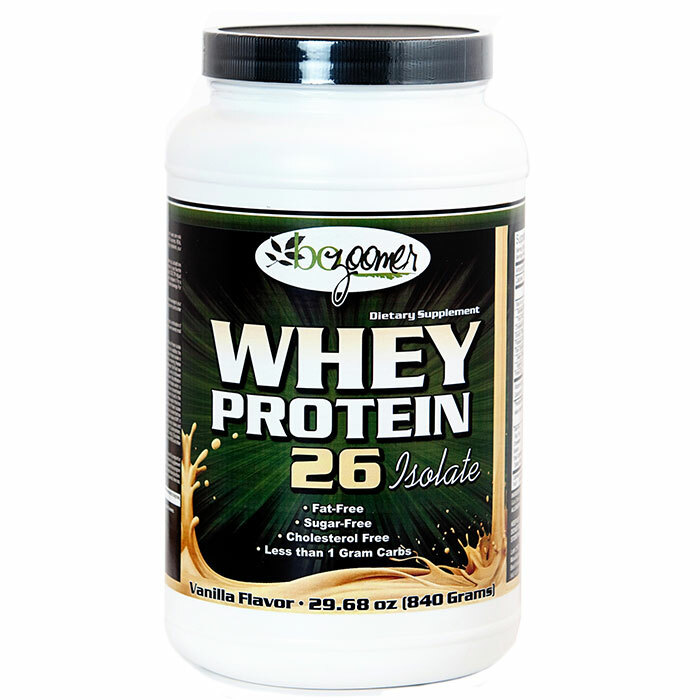 Included is our Whey Protein-26 Isolate as part of your natural weight loss plan. As you learn more about this awesome protein, remember that you can even add fruit and yogurt to be used as a meal replacement during the day between meals. High quality Whey Protein-26 Isolate is rich in the amino acid leucine to help preserve lean muscle tissue while promoting fat loss. The retention of lean muscle during weight loss is related to the leucine's ability to stimulate muscle synthesis. 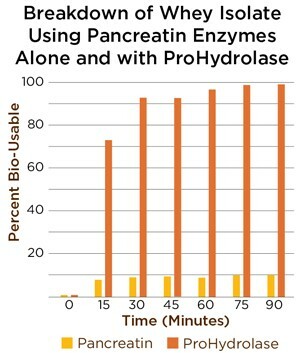 The rate of digestion of protein synthesis also depends on the speed of protein absorption. Meaning, fast absorbing protein like our Protein-26 Isolate has an anabolic effect. The high leucine content of Whey Protein Isolate coupled with fast absorption makes Whey Protein-26 Isolate ideal as a protein supplement during weight loss. Our Whey Protein is fat-free; sugar-free; cholesterol-free and less than 1 gram of carbohydrates. Why IS WHEY PROTEIN POWDER BENEFICIAL FOR SENIORS? Although whey supplements are most commonly used as nutritional support to get more protein, they may also provide specific benefits for senior citizens. Whey protein may help in treating certain health conditions that typically affect the elderly, such as cataracts and impaired mental function. Before you begin taking whey protein supplements, talk with your doctor about the proper dosage and possible risks. Whey protein appears to increase glutathione levels in the body as well. Glutathione is a crucial substance that causes antioxidant actions in your body to naturally fight free radicals, which cause damage to your body's cells. People with certain types of cancer, cataracts, diabetes and liver disease tend to have deficiencies of glutathione. Don't take whey protein supplements if you're allergic to milk and other dairy products, and take no more than the amount recommended by your physician or registered dietitian, warns the University of Michigan Health System. If you have a history of kidney disease, you’ll typically want to restrict your consumption of protein. So whey supplementation will probably not be right for you. In healthy adults, with no kidney disease, consumption of whey protein in excess of the recommended daily allowance appears to be safe, and there is no conclusive research to demonstrate that large amounts of protein in these populations have adverse health risks or leads to kidney damage. Whey protein Isolate is one of the richest sources of all nine essential amino acids called essential amino acids because the body is unable to produce on its own1. However, whey protein must first be processed into a usable form, which includes essential amino acids and beneficial peptides (i.e., Di and Tri-peptides). To be effective, protein must be broken down into a smaller particle size within approximately 90 minutes of consumption. This transit time represents the time from which the whey powder passes from the stomach through the small intestine where digestion/absorption primarily occurs. From there it will be assembled into muscle protein (a bio-usable form). To imagine this process, think of a large object being moved into a room through a door that is too small. The table must first be broken down to pass through the doorway before it can be reassembled and used. Undigested whey protein will simply be excreted from the body, resulting in wasted amino acids. In addition, when whey protein is not broken down into the smallest composition, it creates large peptides that can cause discomfort such as bloating, nausea and cramping. These symptoms should not be confused with lactose intolerance. Lactose is not present in whey isolates; therefore, the underlying cause of the discomfort is peptide sensitivity. Takes full advantage of the availability of essential amino acids for building muscle and improving muscle recovery and helps promote weight loss. REDUCES DISCOMFORT - Greatly reduces digestive caused when protein is not broken down into the smallest composition. MAXIMIZES PERFORMANCE - Maximizes the performance benefit of protein supplements, assisting the body in absorbing more protein rather than excreting it. DIGEST VARIOUS PROTEINS - Effective at digesting various forms of protein including whey, soy, egg, casein, hemp and pea. Perhaps the biggest reason why we need to supplement with protein when we’re looking to sculpt our ideal physique is that it provides a constant dose of muscle-building essential amino acids that our body is not able to produce on its own. However, protein needs to be broken down into small particles first in order to get to these essential amino acids. If this does not occur in time, the remaining protein can create large peptides that can cause side effects like bloating and nausea. This is why it is essential that protein digestion is improved to the best possible level. Undigested whey protein will simply be excreted from the body, resulting in wasted amino acids.